In 2002, Sebastian Zickau submitted his diploma thesis during a project at the IT-Service-Center of the Technische Universität Berlin (tubIT) where he worked as a student research assistant. The focus of the thesis was on e-mail encryption using smartcards. After he received his diploma, he continued to work at the tubIT Service Center as a research assistant. During this time, he contributed to several security, policy, and access control projects, such as TUBIT. In 2008, Mr. Zickau started to work at the University of Reading in England for two years. There he joined the EU-funded Hydra Middleware project (now LinkSmart middleware) in a research group at the School of Systems Engineering. My main focus was on security and policy aspects and context functionalities during the realization of the Hydra software along with work on project demonstrators and general research. 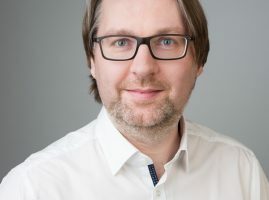 In March 2012, Sebastian Zickau joined the Telekom Innovation Laboratories in Berlin, as a research scientist at Prof. Dr. Axel Küpper’s chair Service-centric Networking (SNET). He contributed to the BMWi- and BMBF-funded projects: TRESOR (Cloud Computing in the health sector), Curcuma (location-based access control) and the running PARADISE. His research in PARADISE focuses on ubiquitous computing, location-based access control, and privacy aspects within an anti-doping use case. He is currently writing his doctoral thesis about these topics.